Pick up time is 9:00am, unless agreed differently with your instructor. 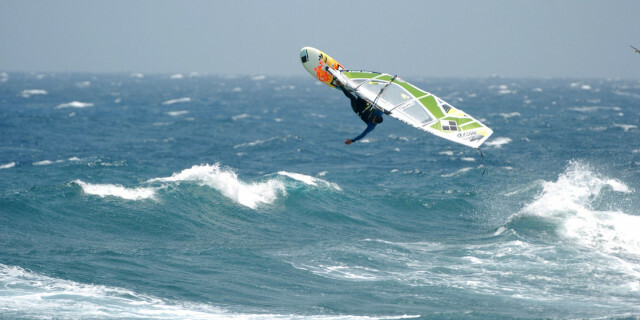 A new trend is conquering the watersports world. This is wakesurfing, a modality in which surfers glide the wakes - a trail of water - left by the passage of a ship (see the video below). Similar to its close cousin, it differs from wakeboarding because you don’t really need a rope to pull you forward and therefore sliding and trying different maneuvers. On the top of it, wakesurfing requires a special kind of boat to make good waves to surf. 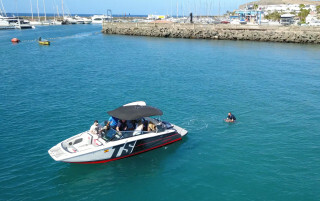 Regarding this aspect, our center counts with the best and only wakeboat in all Gran Canaria. This is a Four Winns model specially designed to make waves and fully equipped for the practice of this activity. At first glance, it may seem a slightly dangerous thing to do. But because everything is designed with wakesurfers safety first, it’s one of the safest and most fun sports you can participate in the water. 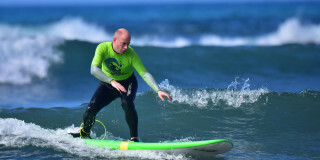 To have an idea, many people who want to try surfing in the sea prefer to begin with wakesurfing, due to its easier and secure conditions. Now it is your turn to try it. Our center offers two schedules you can choose from. You can take part in a 2-hour lesson with up to six other participants, or a 1-hour experience, with up to only two participants. The water session is divided equally among everyone who is part of the group. You have enough time to practice. The activity starts with your professional instructor introducing the sport for you. He explains aspects of safety, equipment, posture, and everything you need to know to have a great time in the water. After that, it is time to practice. With proper training, professional support, and high-quality equipment, you will learn fastly how to glide the water trails left by the boat. Once the lesson ends and you are back to the shore, we bet you will be willing to book your next wakesurfing session with us sooner than you think.